With USB-C and USB 3.1, ROMA combines two of the latest high-speed connectors in one flash drive, encased in a highly robust and elegant gold or space grey aluminium body. This way, up to 64 GB of data can be easily shared between the latest MacBook and other devices. Following its award-winning Lightning and USB 3.0 flash drive iKlips for iOS devices, Adam Elements now presents a new dual connector storage innovation for MacBook. ROMA comes with both a USB-C connector and a standard USB 3.1 plug, which can be easily swivelled around. This way, users can easily store up to 64 GB of data from e.g. the latest USB-C-only MacBook models. The files can then be shared with other USB-C devices, including the latest Chromebook Pixel, other new notebooks or even selected smartphone models. But also data sharing with older USB compatible computers is possible, thanks to the standard USB 3.1 connector. ROMA’s USB-C plug works either way up, so users will never need a second attempt when trying to connect it to their MacBook, smartphone or other compatible device. Whenever data needs to be moved to another computer with a standard USB socket only, the connector can simply be swivelled around, and a full-sized USB 3.1 plug is ready to go. On both ends, ROMA boasts high-end transfer speeds of up to 130 MB/s. ROMA’s advanced connector technology comes encased in a both classy and robust design crafted from high quality materials. 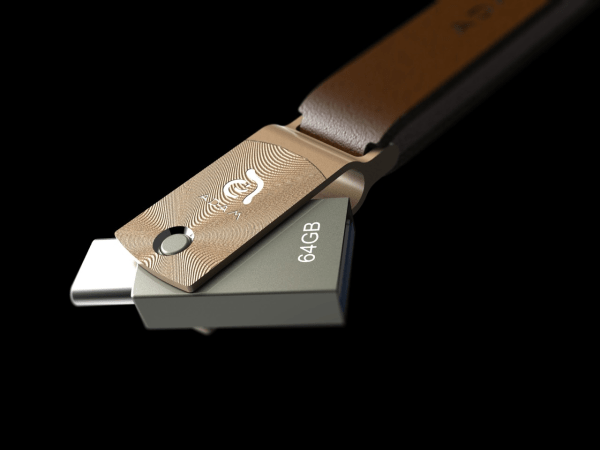 The flash drive’s casing is forged using a premium zinc-aluminium alloy. It is not only shock-resistant and dustproof, making it ideal for day-to-day use and transport. The two gold and space grey colour options give all enthusiasts a perfect match for the latest MacBook models. 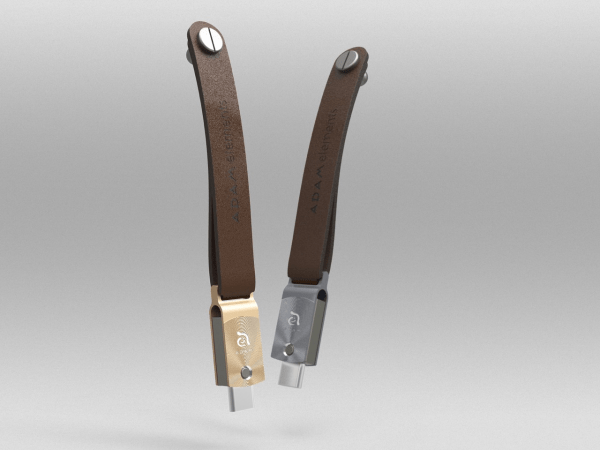 In order to make transport easier and add to the flash drive’s elegant design, ROMA comes with a brown handmade genuine leather strap, which fastens neatly onto bags and clothes. This way, ROMA serves as both a convenient storage solution and a stylish accessory. ROMA can be ordered directly from the Taiwan-based Adam Store at www.adamelements.com/store/. Starting in early December 2015, it will also become available at selected European retailers. The MSRP is £39.99.